Blue Whale Challenge is reportedly a suicide game in which the player is given certain tasks to complete for a period of 50 days and the final task leads to the player committing suicide. 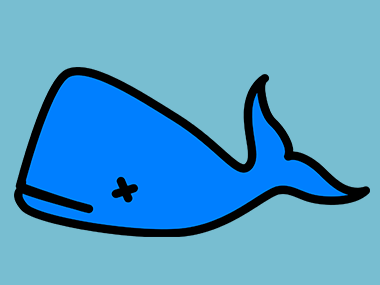 A teenage girl from West Bengal's North, 24 Parganas district was hospitalised on Sunday after she was found to have injured herself while playing the deadly online game Blue Whale Challenge, police said. "A class eight student from a private school in Basirhat area fell ill after confessing about her involvement in playing the Blue Whale game to the school authorities. She has been admitted to hospital," a police officer said. According to police, the girl's classmates on Saturday found blood oozing from her arm and told the school authorities about it. It was found that the girl had inscribed something by cutting her hand herself. "The hostel superintendent got in touch with us after the girl confessed to cutting her hand as instructed in the Blue Whale Challenge game. Which stage of the game she was into, is not yet clear," police said. Blue Whale Challenge is reportedly a suicide game in which the player is given certain tasks to complete for a period of 50 days and the final task leads to the player committing suicide. The player is also asked to share photos after finishing each challenge. The sudden popularity of the lethal online game in India had forced the government to issue directions to internet giants Google, Facebook, Whatsapp, Instagram, Microsoft, and Yahoo to immediately remove its links. The game has, so far, claimed a number of lives in India and across the world.